He never had a chance. Not in the fight, anyway. But that’s not the point, is it? 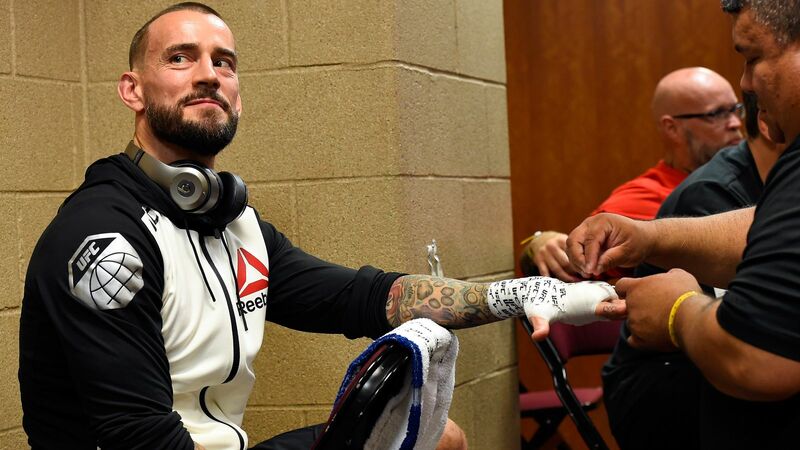 CM Punk trained constantly for two years. He fought through various injuries and setbacks but kept pushing himself. Even though there was no way to actually be ready. He’d never been in a real fight before and he took on a younger, better opponent. When he stepped into the octagon, he had a smile on his face that many mistook for arrogance. They’re mistaken. That look was joy, the type that comes from following through on your promises and coming at life with everything you’ve got. And for that, we should respect the hell out of him. Everything’s gonna be okay, right? I understand the anger or annoyance some feel at the opportunity Punk got. They feel like they’ve spent years doing things the “right way” and he “gets handed” this shot at the big time. The same thing happened when Marvel gave Punk shots at writing comics. He hadn’t paid his dues, they said. But we can’t disparage a person for taking opportunities that are presented to him. And of course they’re offered, because he’s famous and he’ll bring in curious viewers/readers. But most importantly, these events don’t happen in a vacuum – he got special treatment because he was great at something. Sure, it’s frustrating to see someone leapfrog you, but they got that chance because of hard work in other aspects of their life. At that stage, as an potential new employer, you have to believe they’ll apply that same drive to their new projects. How many of you would take the opportunity laid at his feet? How many would train so hard, knowing that the odds are against you but putting 100% into it regardless? Often we don’t and honestly it’s the dumbest thing. I’m just internalising a really complicated situation in my head. Winning isn’t about winning. It’s about trying. It’s about fighting for what you want. Because that’s what gives you peace when your head hits the pillow at night – knowing that no matter what they say about you, you did everything you could and damn if that doesn’t make you better than most of them. There’s some animated film about some beat up old crop duster that manages to win a race against much better planes. It’s ridiculous, because it’s not like having heart means you can beat better engines. 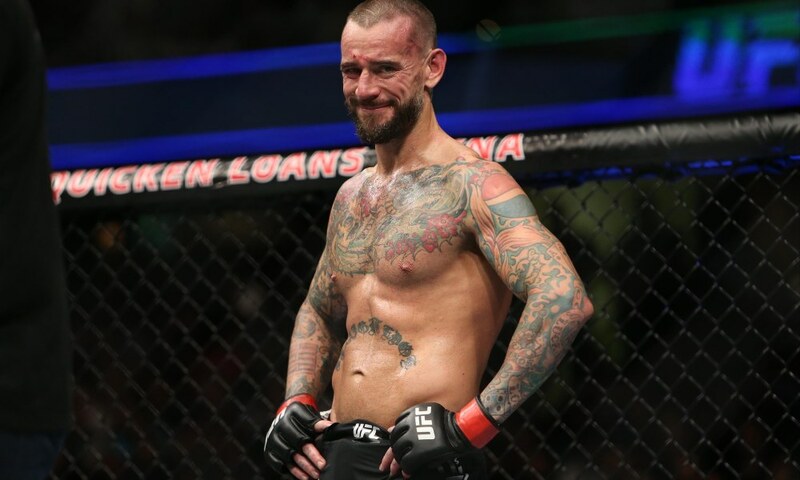 CM Punk’s heart probably kept him in his fight for an extra few seconds, but there’s no way it gets the victory. It’s a tale that entertainment tells us constantly, that if you’re a special snowflake then you’ll win the prize. It’s a horrid message – what happens when you try that in real life and you don’t win? The only conclusion left to draw is that you don’t deserve to win – that you’re obviously not the hero of the story. Well, screw that. The lesson to learn is the one at the end of Jason Segal’s The Muppets movie. Because they fail. They work as hard as they can but don’t even come close to achieving their goal. So Kermit tells them the most important lesson of all: The result doesn’t matter. All that matters is that you turned up and did the thing. So do the thing in your life. Chase your dreams. If you fail, so what? Get up and try again. Or don’t, and still feel secure that you did what so many others can’t bring themselves to do – you tried. In life, it isn’t about how many times you get knocked down, but how many times you get back up. So if you’ve hit the ground, there’s dust in your eyes, blood on your tongue and the urge to let that be the end – take a look around and realise that you’re stronger and better than you thought. Then stand back up. Dust yourself off. Then continue to fight. Or call it a day, it’s all good. It doesn’t matter because you already did the damn thing – you put in the work and you showed up, no matter the consequences. And you got back up. “In life, you go big or you go home. I just like to take challenges. This is a hell of a mountain to try to climb, and I didn’t get to the summit today, but it doesn’t mean I’m gonna give up. It doesn’t mean I’m gonna stop. I appreciate all the support from everybody. Obviously, Mickey is a hell of a fighter. I will be back — believe it or not. This was the most fun I’ve ever had in my life — second best night of my life, besides marrying my wife, obviously. “I know there’s a lot of doubters, but, listen, life’s about falling down and getting up. It doesn’t matter how many times you get knocked down, it’s about getting back up. So if there’s any kid out there that’s told by a parent or a coach or a teacher or somebody that they look up to, somebody that’s supposed to push them and believe in them and they’re told no, don’t listen to them. Believe in yourself.